Startup of the year 2018! 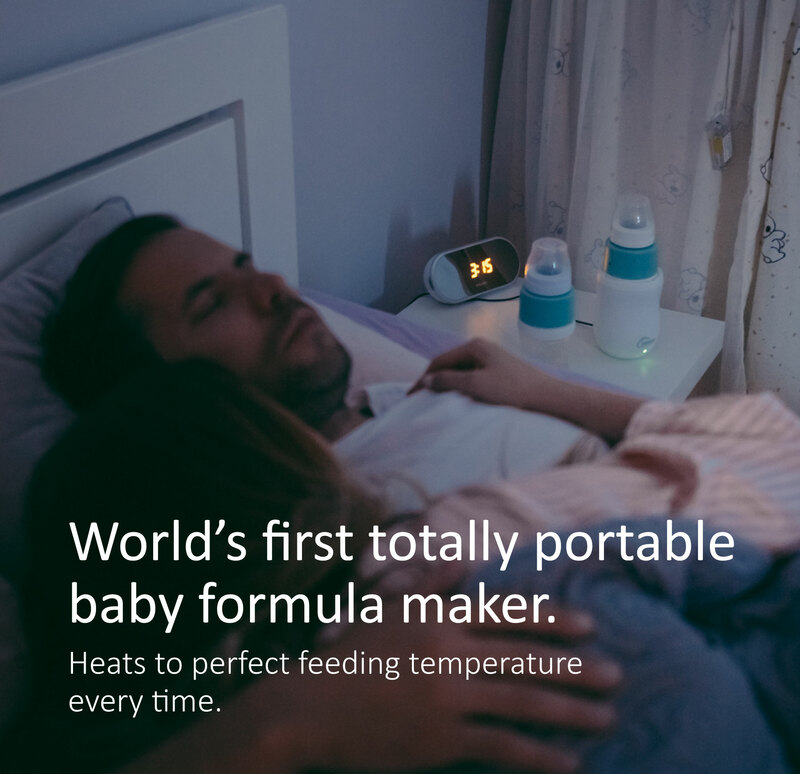 Fresh & warm baby formula in 10 seconds. Night time feeding made simple. Breast milk provides the baby all the improtant nutrients in precisely balanced amount. 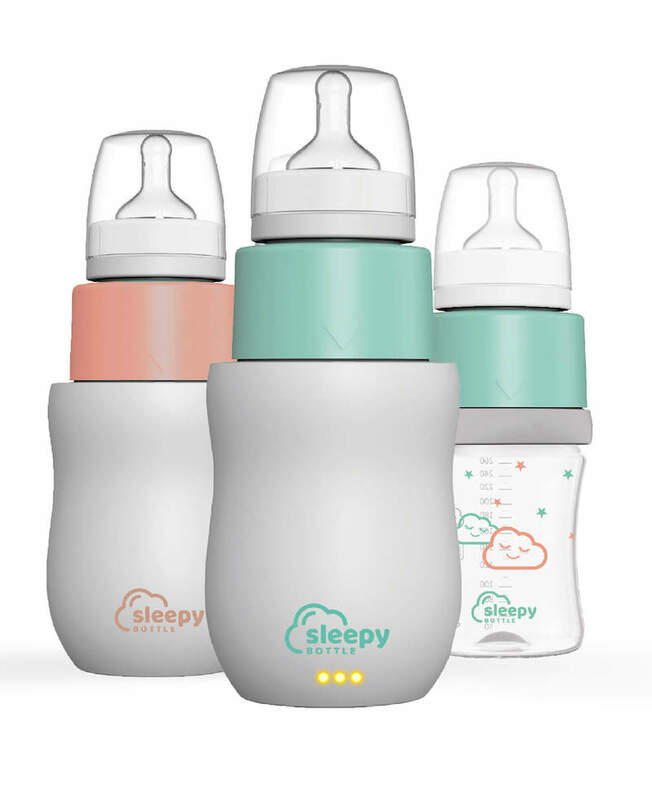 If it is not possible to breastfeed, then we recommend Sleepy Bottle as it is the most convenient bottle feeder for ensuring fresh formula, day and night. It is recommended to consult your peditrician or family doctor before switching to baby formula. 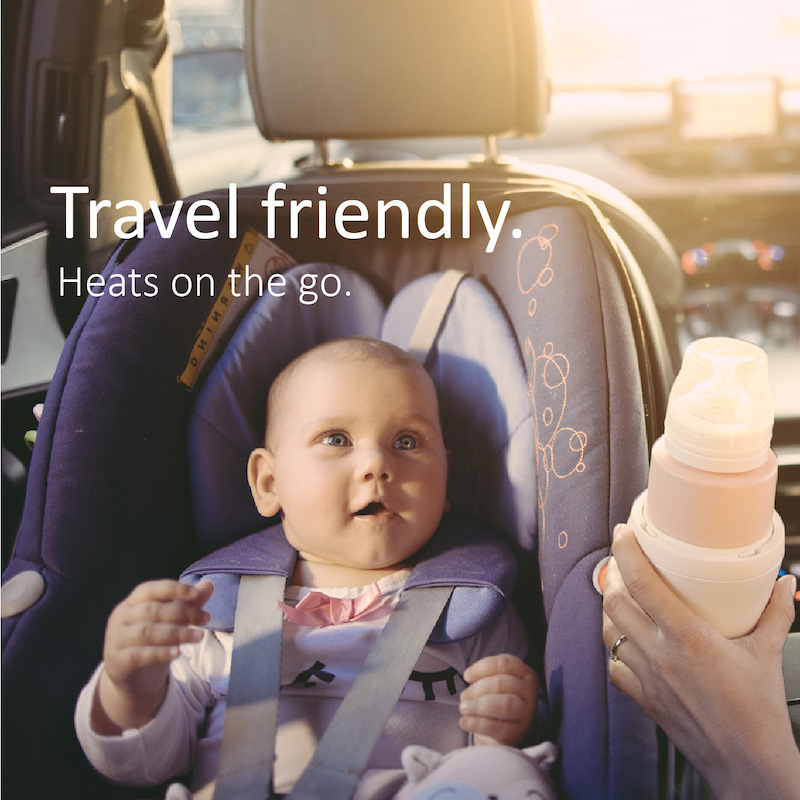 Fresh & warm baby formula in 10 seconds. Night time feeding made simple. 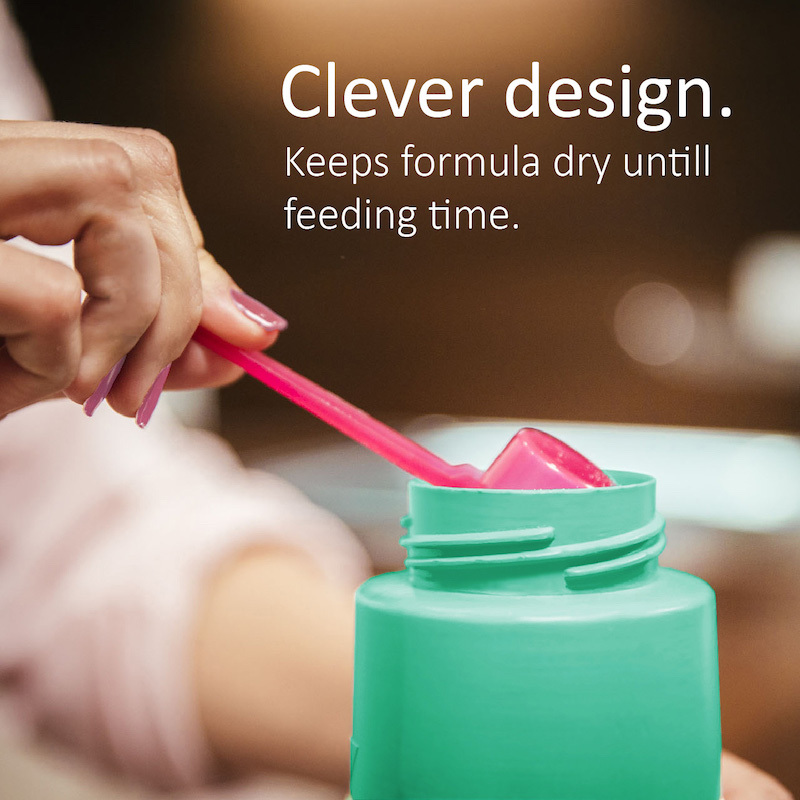 World's first clever baby bottle. 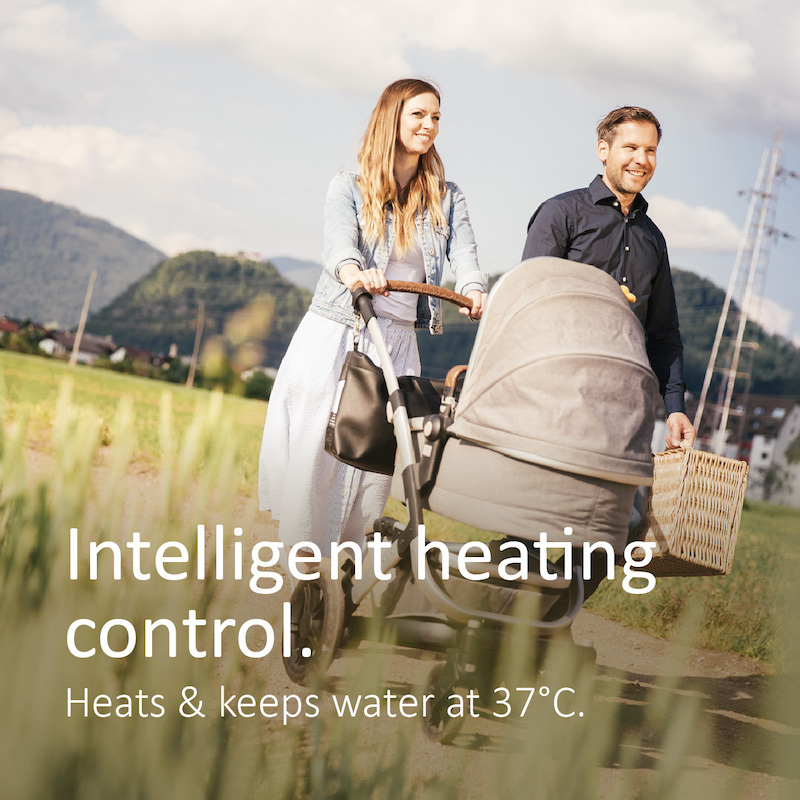 Heats to perfect feeding temperature every time. 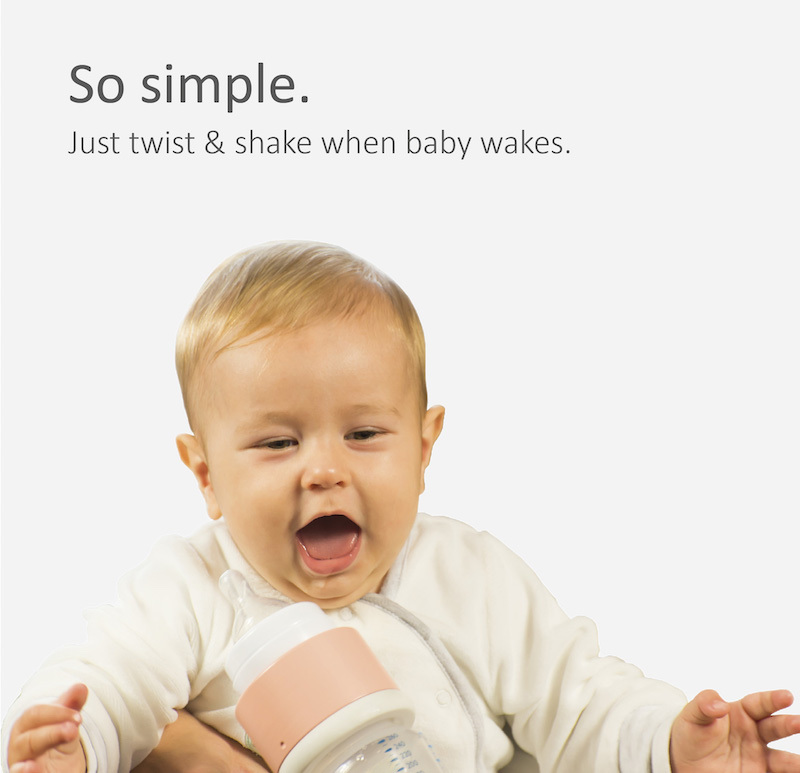 Just twist & shake when baby wakes. "We are very satisfied customers, I can't imagine not having it anymore :) I will definitely recommend it to all the young moms." "Thank you for making our nights much easier :)"
"It's great! Especially because we have a very loud baby. Now, he gets his night-time meal in a few seconds and that's it." "Excited about the product! It makes nights easier, however, we are both active parents, so the true benefit for us is its portability." "Since we received it as a gift, the Sleepy Bottle it is a total game changer. 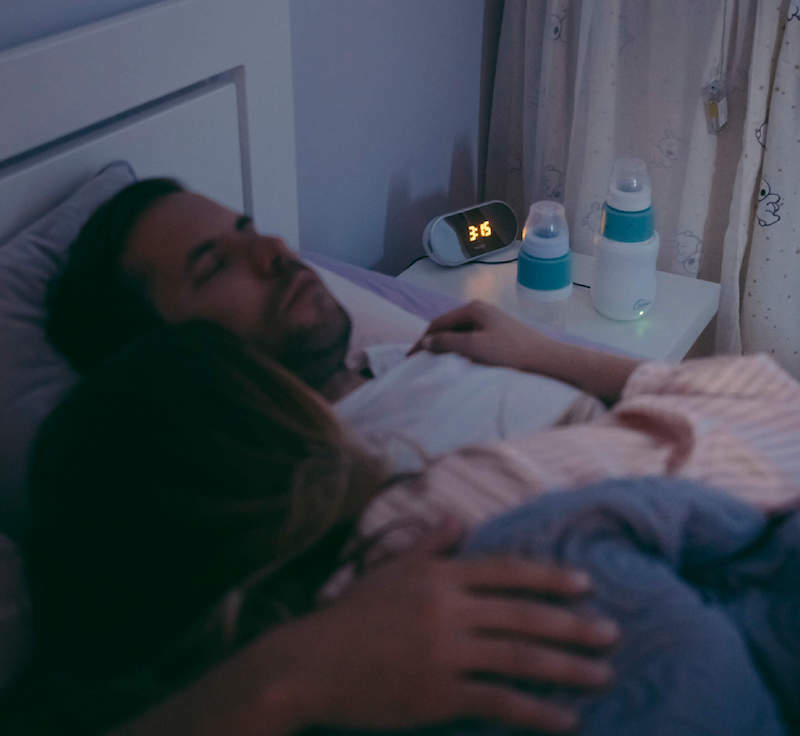 We’ve been using it for night feeds since our baby was 8 weeks old and we love it so much we’ve bought a second bottle to save walking downstairs to make the 7am bottle!"